Participants will benefit from free registration and accommodation in Syracuse. Please send us your candidacy UNTIL June 25th to z.denes@rehabint.hu e-mail adress. 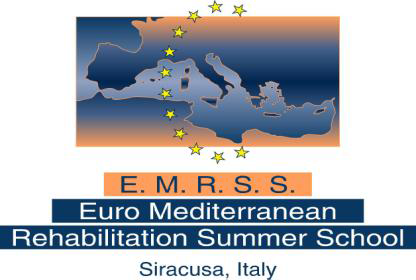 As it is customary for the EMRSS course, the topic will be addressed both under the theoretical perspective and with a "hands on" approach. The Faculty includes a wide range of international and Italian speakers, with a long standing experience in the matter. All lectures will be given in English, in the fascinating scenario of an ancient Greek town. You can find detailed information in the file attached below.